Barbara Sher is a career coach with a focus on goal achievement. She has coined the term scanner for a certain personality type. A scanner is a person with an unusually wide range of interests and curiosity in unrelated subjects, and a low tolerance for boredom. 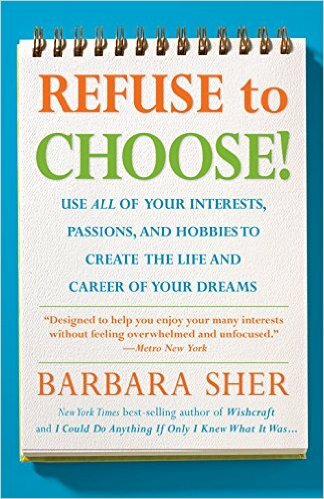 Refuse to choose is her self-help book for people of that personality type, and introduces a model of various scanner types and individual programs and career options for each type. Her style is not at all scientific, but rooted in decade-long experience and intuition, which might be a turn-off for some. Not me though, I'm a believer of models might be wrong but still useful. Nowadays experts and specialists are sought after, well-paid, and enjoy a higher social status, so people derive their identity and place in the social hierarchy from their day job. A long-winded answer to the seemingly innocent ice-breaker question "what do you do?" is simply not expected - a wide range of interests is generally frowned upon and mistaken for self-indulgence. You can also see this in contemporary language, for example a jack of all trades now has a negative connotation, implying master of none. Another example is amateur, formerly identifying a person whose activities are driven by passion, which now simply translates to unprofessional. This puts scanners under a lot of pressure, which Barbara Sher labels scanner panic - Scanners are pressured to feel passionate about a single interest, and to turn it into a career. Needless to say, an impossible endeavour. Sher likens scanners to honeybees, which seem to fly aimlessly from one flower to another, without spending much time at one place. While this seems pretty inefficient to the untrained eye, Sher says a bee only spends as much time (duration) at one place as it needs to get what it wants (reward). In the same way a scanner only pursues an interest until she has learned enough to move on. Getting bored with some project is not a failure, merely a signal indicating that you got what you wanted out of it - for a scanner this means mission accomplished! Why did you stop when you did? to sharpen your understanding of what you really wanted out of the experience - you will find out what durations fit you and what rewards you are after. After an initial exploration phase of learning and trying out, instead of finishing a project yourself, you should teach others to do what's necessary to finish it, and then leave. That's what coaches do, for example. 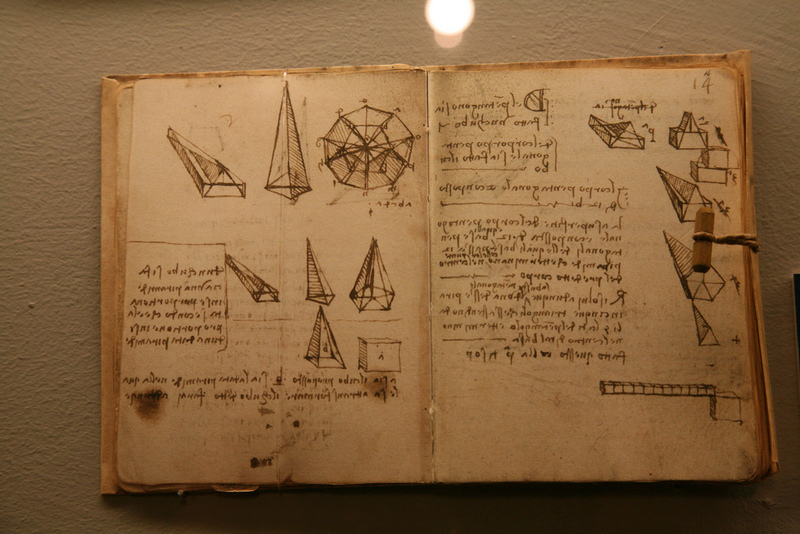 This is just a blank book for capturing and developing new ideas, similar to Leonardo da Vinci's notebooks. The purpose is to have a space where to enjoy yourself. It's not about turning ideas into something tangible, it's just an invitation to get absorbed, an area for free play. With a lot of interests, you might think you will never have time to try them all. A calendar that spans a few years helps you to plan and spread your interests over longer time periods. Here you can list everything you are interested and want to try out one day. Most scanners assume they want to try an endless amount of things, but in reality it's often less than 50 things. So you could create a Big List first, then pick you favourites and put them in a calendar, and chronicle your day-to-day progress in the daybook. Sher identifies two main scanner types, cyclical scanners and sequential scanners. While sequential scanners are mostly following new interests, cyclical scanners prefer to revisit previous interests after a break. Barbara Sher's "Refuse to choose" program promotes methods that help scanners embrace their nature, and gives them a positive description for themselves - scanners are not supposed to choose! This might sound radical at first, but it gives scanners the freedom to do what they enjoy most and what they are best at - generating and exploring new ideas!